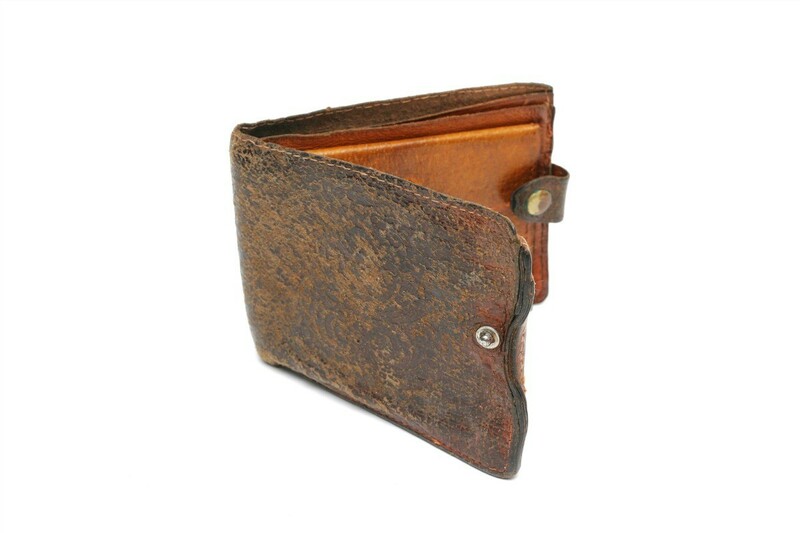 Over time leather can become scuffed and worn. Rather than buying a new purse, couch, or having your car seats reupholstered dyeing the leather may be the solution. This is a guide about re-dyeing leather. I have a purple purse and I would like to know if you dye leather and bake the dye into the purse so it does not come off. The shoe maker place told me you have to bake the dye to make it stay from coming off. I want it dyed black. Putting black leather dye over purple shouldn't be too hard. Just prepare the leather surface well. Use several coats. and then seal with black wax polish. I don't know about the heat - sounds to me as if it would be bad for the leather??? Go to someplace that deal with leather crafts, like the Tandy's chain. They will have everything you need. I agree with previous boster, but I know that SOME dyes require heat to set them--usually boiling for a few minutes. I suspect baking the leather while wet wouldn't hurt too much but better to check b4 ruining! Go to www.Parasolinc.com . They have actual leather dye, not thinned down paint. It is guaranteed not to peel, flake or chip. My dh, who does leather work has dyed shoes and purses for me. Find proper leather dye and follow instructions. There is proper lacquer finish to use on top. Due to fumes work in ventilated area. Allow 24 hours for each application to dry and absorb properly. I have a pair of previously white leather clogs that he did and put in an aged look by dying a blood red under the wear creases and years later they look better than ever with no white ever showing through. Tandy is the number one source of leather work and their web site is informative. I found a great project bag; I hope! Can I totally remove all of the stain from the leather bag and re-stain? I accidentally spilled nail polish remover on a purse and it ruined the color. No sure I recommend this on purpose as a treatment, maybe if you tried it on a corner and did it in a controlled way....like using a cotton ball, it might work. Please post your finished...I have a few damaged purses I would love to remake...but not sure how to go about it. A few are my grandmother's and are cute but damaged. Most are well over 50 years old. There are dye remover products sold. You do not say what color your "project" purse is but it seems that almost all recommendations do not say to remove the dye but to clean and then just dye the purse whatever color you choose. I think this kind of project requires a lot of reading/research but there are so many sites/suggestions it becomes a chore to even Google the subject. I have never tried this but I did have a purse "professionally" dyed and the owner told me he just cleaned it and then dyed it (3 times on the dye). It turned out really great and I think that I might try this myself now that I have did a little research on my own. I liked looking at this site as it has so many "before & after" photos to review. Not sure about their products but some nice ideas. Here are some sites that I am keeping for myself as I will be looking for a suitable project purse soon. You may be able to find a way to finish your project with information here. I like checking on craft projects like this at Micheal's and Jo Ann's as they usually have everything you need. Some good leather cleaning products can be found at auto parts stores. Soak the material in a very weak solution of bleach and water. This will get rid of the dye stain, but will also turn the material itself a pale gray. Can I use colour shoe wax to change the colour of my leather sofa or do I have to buy the dye kits which work out expensive for a traditional 3 piece suites. Perhaps a person who works at a shoe repair shop could tell you how to dye leather. the only other idea I have is to contact the manufacturer for suggestions. I worry the dye will come off on your clothing. I tried removing an ink spot off a Coach wallet. Now the leather pigment is removed. Can I re-dye the off white color onto the leather? I need helpful advice for repairing and dyeing my old and loved leather couch. Are Leather Couches Kid Friendly?